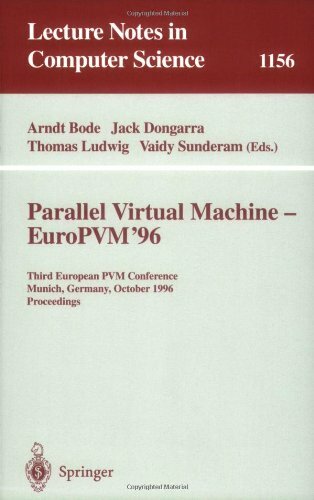 This book constitutes the refereed proceedings of the 13th European PVM/MPI Users' Group Meeting held in Bonn, Germany in September 2006. The 38 revised full papers presented together with abstracts of 6 invited contributions, 4 tutorial papers and 6 poster papers were carefully reviewed and selected from 84 submissions. The papers are organized in topical sections on collective communication, communication protocols, debugging and verification, fault tolerance, metacomputing and grid, parallel I/O, implementation issues, object-oriented message passing, limitations and extensions, performance, and are completed with 6 contributions to the special ParSim session on current trends in numerical simulation for parallel engineering environments. This book constitutes the refereed proceedings of the 14th European PVM/MPI Users' Group Meeting held in Paris, France, September 30 - October 3, 2007. The 40 revised full papers presented together with abstracts of 6 invited contributions, 3 tutorial papers and 6 poster papers were carefully reviewed and selected from 68 submissions. The papers are organized in topical sections on collective communication, communication protocols, debugging and verification, fault tolerance, metacomputing and grid, parallel I/O, implementation issues, object-oriented message passing, limitations and extensions, performance, and are completed with 6 contributions to the special ParSim session on current trends in numerical simulation for parallel engineering environments. This book constitutes the refereed proceedings of the 15th European PVM/MPI Users' Group Meeting held in Dublin, Ireland, in September 2008. The 29 revised full papers presented together with abstracts of 7 invited contributions, 1 tutorial paper and 8 poster papers were carefully reviewed and selected from 55 submissions. The papers are organized in topical sections on applications, collective operations, library internals, message passing for multi-core and mutlithreaded architectures, MPI datatypes, MPI I/O, synchronisation issues in point-to-point and one-sided communications, tools, and verification of message passing programs. The volume is rounded off with 4 contributions to the special ParSim session on current trends in numerical simulation for parallel engineering environments. This book constitutes the refereed proceedings of the 12th European PVM/MPI Users' Group Meeting held in Sorrento, Italy in September 2005. The 61 revised full papers presented together with abstracts of 6 invited contributions were carefully reviewed and selected from numerous submissions. 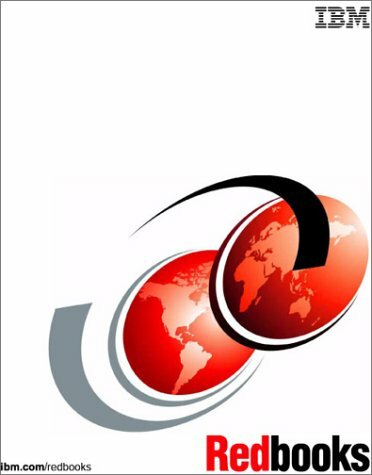 The papers are organized in topical sections on algorithms, extensions and improvements, cluster and grid, tools and environments, performance, applications and ParSim 2005. 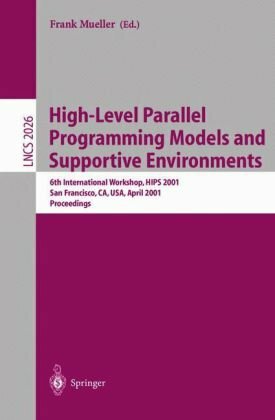 This book constitutes the refereed proceedings of the 6th International Workshop on High-Level Parallel Programming Models and Supportive Environments, HIPS 2001, held in San Francisco, CA, USA in April 2001. As Linux increases its presence throughout the world as atarget platform for professional application development, its growthas a powerful, flexible system offering many free development toolsassures its place in the future. By giving you easy access to thiscomprehensive range of tools, supporting new and nascent technologies,at little or no cost, developing with Linux allows you to apply thesolution that's right for you. In this follow-up to the best-selling Beginning Linux Programming, youwill learn from the authors' real-world knowledge and experience ofdeveloping software for Linux; you'll be taken through the developmentof a sample 'DVD Store' application, with 'theme' chapters addressingdifferent aspects of its implementation. Meanwhile, individual'take-a-break' chapters cover important topics that go beyond thebounds of the central theme. All focus on the practical aspects ofprogramming, showing how crucial it is to choose the right tools forthe job, use them as they should be used, and get things right firsttime. Experienced Linux programmers and aspiring developers alike will finda great deal of practical information in this book on libraries,techniques, tools and applications. You should be familiar with asimple Linux system, have a good working knowledge of programming inC, and a basic understanding of object-oriented programming with C++for the Qt/KDE chapters. By tapping the strengths of the open-source movement, developers can write custom Linux software without spending a dime on licensing fees. Aimed at the experienced C/C++ programmer, Professional Linux Programming provides a wide-ranging and hands-on guide to the different pieces of the puzzle that are required to program successfully on this exciting new platform. The book is framed as a case study for building a custom database program in Linux for a video rental store. After a tour of the requirements and a brief look at project management for creating this software, the various Linux packages that are needed to implement this system are described, along with sample code, most of which is written in C. Some packages, such as the CVS version-control package, come with most distributions of Linux; others will require downloading additional software over the Internet. In every case, you're provided with the actual command-line arguments that are needed to install, configure, and run each package. Besides a great exploration of CVS for version control, this title offers excellent coverage of the free PostgreSQL and MySQL databases, which are two very popular choices for Linux databases. The book also does a good job of explaining UI design under both the GTK+/GNOME and KDE (two popular Linux desktops), and how to extend the reach of the sample database application by using Remote Procedure Calls (RPCs) and CORBA. Of course, the finished application doesn't use every Linux API that's covered here, but the book does cast a wide net, and introduces features and tools that are available. Two prominent chapters take you on a tour of the essentials of other programming languages. There's PHP for Web development and an appealing, enthusiastic introduction to Python (which probably will turn you into a Python convert). Later chapters provide practical tips for testing and debugging applications, including how to profile your code. The book closes with a useful guide to creating Red Hat Package Manager (RPM) packages for deploying applications, as well as an overview of your options for internationalization. The biggest problem I have with this book is its weight.It's just too big and clunky to hold up to read.Splitting into two bindings would have been nice.But it does cover a lot and it needs to be large to do so. I bought the Beginners Guide to Linux Programming and I really liked that book.This book is a very good follow-up, but it doesn't give the reader more programming tips. It covers many topics which makes this book a great reference for anyone who deals with Linux and even other flavors of Unix on a day to day basic.Buy this book if you are looking for a reference book on developing software on Linux that covers advanced topics. 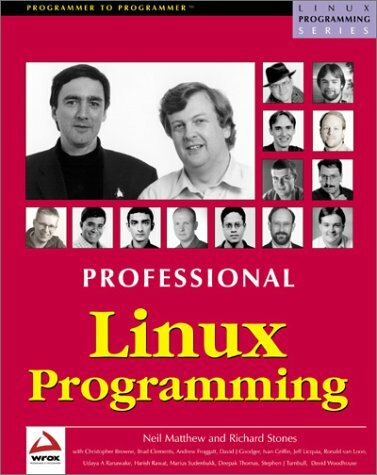 This book is a follow-up to Beginning Linux Programming, but with a wider range of authors. The book is a series of chapters on various tools and applications, all of them Open Source, based mainly round things that application developers might use, though there is a single chapter on device drivers. Most topics only get a single chapter, so there isn't as much depth as you would find in a dedicated book on each topic, but there is a very wide range of material all covered in enough depth to get the more experienced programmer started with a new topic. There are one or two weaker areas, but overall a good choice of material succinctly presented for the more experienced application developer. I've given it 5 stars as it was exactly what I was looking for - a single reference to help me create a Linux-based web database application, your mileage may vary. I recommend you at least consider it. This book is the sequel to the excellent' Beginning Linux Programming'. It isn't a book for kernel hackers, and it doesn't pretend to be. (There is a book being written by kernel developers called' Professional Linux Kernel Programming' - make sure that you order the correct one!). Instead, this heavyweight book is a very useful guide for those wishing to develop real world applications. It covers the tools used for developing serious web applications, such as the databases MySQL and PostgreSQL, and the excellent PHP language. When it comes to desktop and client server you are spoilt for choice - just about everything is covered. It is especially nice to see Python content - one of the areas missing from their first book as Python is very easy to learn and both powerful and flexible. If anything else was covered I'm not sure how the publishers would bind it! The level of detail is such that the reader will be able to achieve useful results based on the book alone, and any further detail is usually available as part of the documentation supplied when installing the software tools. Single subject books often just duplicate this, and quickly become dated. Where there are references to other books, it is nice to see that it is not just Wrox books which are recommended. The book is written in a style which is both readable and serves as a useful reference work, spending more time next to my computer than it does collecting dust on a shelf. I'd have no hesitation recommending this book to anyone wishing to develop Linux solutions for today and for the future - throw away those VB books now! This book constitutes the refereed proceedings of the 16th European PVM/MPI Users' Group Meeting on Recent Advances in Parallel Virtual Machine and Message Passing Interface, EuroPVM/MPI 2009, held in Espoo, Finland, September 7-10, 2009. The 27 papers presented were carefully reviewed and selected from 48 submissions. The volume also includes 6 invited talks, one tutorial, 5 poster abstracts and 4 papers from the special session on current trends in numerical simulation for parallel engineering environments. The main topics of the meeting were Message Passing Interface (MPI)performance issues in very large systems, MPI program verification and MPI on multi-core architectures. This book constitutes the refereed proceedings of the 11th European PVM/MPI users' Group Meeting held in Budapest, Hungary in September 2004. The 50 revised papers presented togehter with abstracts of 10 invited contributions were carefully reviewed and selected from numerous sbmissions. The papers are organized in topical sections on MPI/PVM extensions and improvements, algorithms, applications, tools and environments, cluster and grid computing, performance, and parallel nummerical simulation. The Parallel Virtual Machine abstraction assumes a message passing environment built from Unix machines. It's message passing primitives are a good deal simpler than MPI's, and the authors note that MPI can be effective as an under-layer for that part of PVM. Unlike MPI, however, PVM emphasizes heterogeneous computing ensemble built from whatever hardware is already at hand. What sets PVM apart from the others is its emphasis on the pragmatics of multi-computer coordination. More than the usual SPMD coordination, it has facilities for managing the ensemble. It even has facilities for signalling runaway processes and for recovering from lost nodes and other errors. And, although the authors note many system-dependent specifics, they address issues that arise in managing the server daemons, crossing administrative boundaries, and other pragmatics of parallel computing. Most of the book is taken up with code samples and man pages for the PVM API. That gives it a very hands-on, practical feel, short on the philosophical and theoretical tone of other books on parallelism APIs. PVM doesn't depend on special compilers, so it's a bit easier for C programmers to approach than OpenMP is. And it's a compact API with just a few central concepts, mostly drawn from standard C idioms, so it's lot simpler that MPI. The book's mention of MasPar, Kendall Square Research, DEC, and Thinking Machines gives an antiquated sense, though. 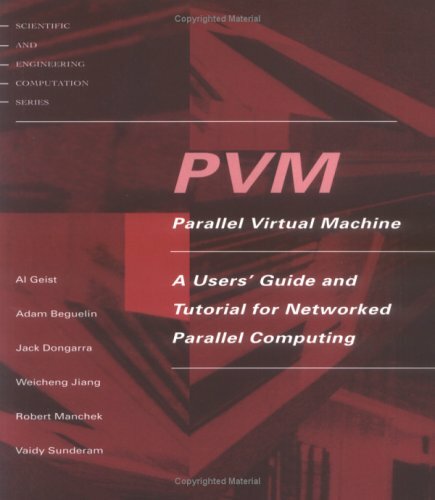 I'm not sure how common PVM is, these days, but if it's what you have, then this is the book for you. So you want to build a super computer? I bought this book because I built a super-computer out of junk computers. I am writing a game based on Risk (the board game) that runs on all these machines. I decided I liked PVM better than MPI, because PVM doesn't require any special compilers and also it worked easier with SSH. Also it was easier to setup and use than MPI (IMHO). This book is a good tutorial and introduction to PVM but the problem is it talks alot about strange computers and things you will most likely never heard of (HIPPI,bit-vector computers). While it is cool stuff, it's pretty old now. But, PVM is still alot easier (IMHO) to get into than MPI.